I love my eyelashes, and I love wearing mascara but a lot of the time I apply mascara and my lashes end up full of clumps, resulting in spider lashes. Not cute. Unless it's for Halloween?? Also, how about brows? I hate it when my brows are messy. It ruins the rest of makeup if my eyebrows are all out of place. I was so excited to use my eyelash comb to see how well it would work. It doesn't make them look perfect, but it does help quite a bit. Way better than they did before. I think it would be better if the comb had skinnier "fingers" (I don't know what they're called, LOL) and they were a little closer together. This might make the combing out clumps easier and more effective. The other side is an eyebrow brush and works well too. I love the spoolie and angled brow brush for when I'm trying to groom my brows. Who wants bushy, unkempt brows? Not me. I like the spoolie side because I can brush all of the stray hairs into place and make sure they are all going the same direction. 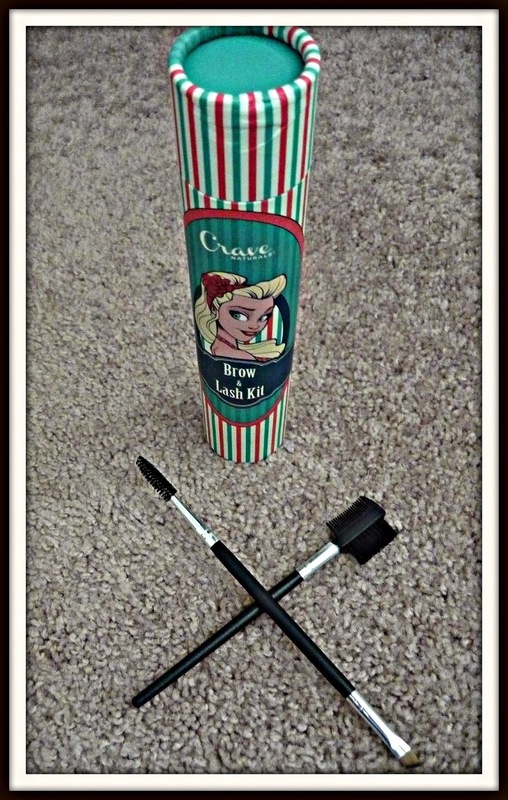 I also like the angled brush because I can use it to apply brow powder or even use it to apply eyeliner. After using these two brushes, I feel like my makeup looks are finally complete! I'm happy that both the brush and comb can be used in several different ways. Very good quality brushes! I think that this is a great gift idea for your friends and family who love makeup and looking good! Buy an Eyebrow and Eyelash Brush Kit on Amazon!